There's no such thing as a completely smooth launch (just ask GTA 5) and iOS 7 is proving no exception to the rule, with scores of iUsers reporting problems with sending and receiving iMessages. For those plagued with the issue, the blue progress bar will almost reach the end before getting stuck and sitting there until you reset iMessage or the iPhone or iPad itself. Apple has released a statement on the matter, saying it's aware of the problem and will have a fix "in an upcoming software update". 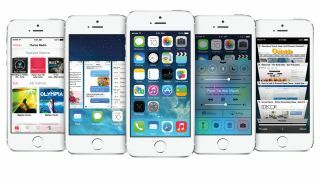 Apple has reportedly seeded an iOS 7.0.3 update to developers for final testing, which could be ready to download next week. Let's hope this is the fix Apple is referring to. Although it seems a lot of people are experiencing the problem right now, Apple says it's only affecting "a fraction of a percent" of users. For now, one workaround we're hearing of is to turn off iMessage, hit Reset Network Settings, then turn iMessage back on again.